I’ve always loved Bircher Muesli. Actually, I’m pretty happy with oats of any kind and porridge is an any-time-of-the-day thing at our place, often for dinner on a slack winters night. 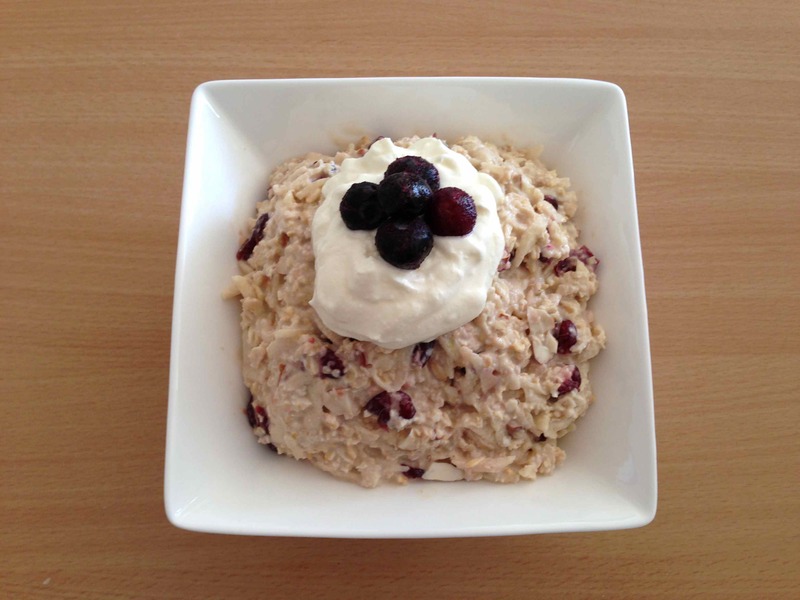 Despite my love of all things oatey, I’d never even thought to try making my own Bircher Muesli, so when Anna sent me this dead easy and uber-cheap recipe, I was keen to give it a go. I am so glad I did! Perfect for breakfast or brunch hospitality, I’m sure I’ll be making this refreshing and comforting mix of oats, apple, almonds and yoghurt again and again. The quantity that follows makes enough for 4 decent serves, so just multiply away to suit the number of friends you’re serving. Just remember with this one to make it at least a day ahead – and enjoy the benefit of not having to do much the day people come over. Total cost less than $3, with fruit to serve additional. 1. Mix all the ingredients together in a bowl. Cover with cling wrap and refrigerate overnight. 2. In the morning it should be the consistency of cold porridge. Stir and if necessary add a little bit more yoghurt or milk to increase the creaminess. Serve with fresh chopped fruit and/or berries and some extra yoghurt.